A northern Alberta First Nation, suing over development on traditional lands, wants the federal and provincial governments to pay its court fees so it can afford to take the ongoing case to trial. Beaver Lake Cree Nation, about 200 kilometres northeast of Edmonton, launched a constitutional challenge in 2008 alleging an infringement of treaty rights to hunt, trap, fish and gather on the land. Last week, the band filed an application for advanced costs with the Court of Queen’s Bench in Edmonton. The First Nation, with fundraising help from Indigenous rights’ group Raven Trust, has paid more than $1.5 million in legal fees to date, according to the application for advanced costs. Beaver Lake Cree Nation chief Germaine Anderson said “legal roadblocks” from the federal and provincial governments, which have both tried unsuccessfully to have the challenge dismissed, have exhausted the band’s financial resources. “I don’t know if that’s their tactic, till we go broke and say, ‘Well, we can’t go through with this anymore,” Anderson said. ​Of the 38,000 square kilometres of traditional land surrounding the reserve, 35,000 square kilometres have been impacted by development, mainly from oil and gas wells, said Crystal Lameman, a member of Beaver Lake Cree Nation and the treaty co-ordinator. She said the populations of animal species the band subsists on, such as moose, are in decline. Water levels have drastically receded. The band is having a more difficult time finding traditional medicines, such as rat root. The Beaver Lake population includes 390 people who live on reserve and 664 who live off-reserve. Lameman acknowledged the First Nation does receive some money as a result of the widespread development, but said it’s not much. “For the amount of development that has happened in our traditional territory, if we were receiving what we should be receiving, we definitely wouldn’t be in the financial situation that we’re in right now,” she said. Canada and Alberta filed an appeal, arguing against the case management judge “misunderstood the nature of the fiduciary relationship between Aboriginals and the Crown” in the decision to allow the case to proceed. “The treaty is alleged to impose obligations on Alberta and Canada to manage certain lands (“the core lands”) … to ensure that the members … are able to exercise their right to hunt, fish and trap,” the appeal stated. The Court of Appeal of Alberta dismissed the governments’ appeal in 2013. “The parties will be well-served by returning to their case management judge for the imposition of a litigation plan to advance this litigation through trial,” the appeal court ruling said. No date for a trial has been set. 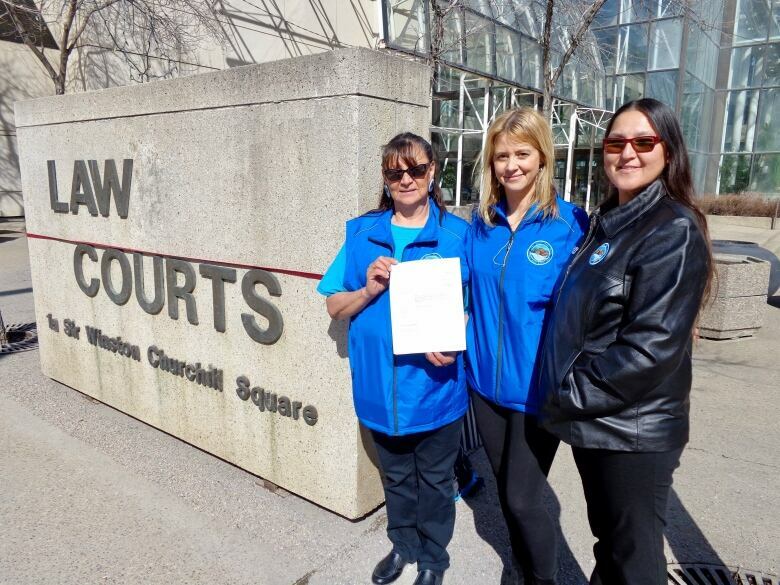 Beaver Lake Cree Nation’s lawyer, Karey Brooks, has done some of the work pro bono. She said the case, known as a cumulative impacts case, is the first case filed to make such allegations to be sent to trial. Lameman said Beaver Lake Cree Nation wants the case to go to trail. “We are ready to go to trial but we don’t have the money to get to trial,” Lameman said.